No More Getting Stuck in Corners or Having to Cross Over! Stipple quilting looks simple, and it actually is, yet many quilters have a hard time mastering it. It’s so easy to get stuck and have to cross over stitching lines, or to have your squiggles differ greatly in size. 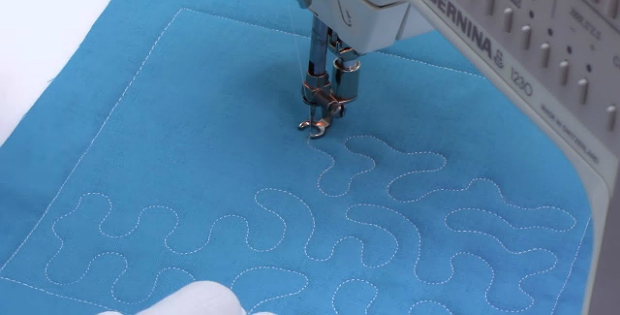 While you may have heard of both meander quilting and stipple quilting, they’re essentially the same process, as the idea with both is to meander across the surface of the quilt. Photo from A Few Scraps. 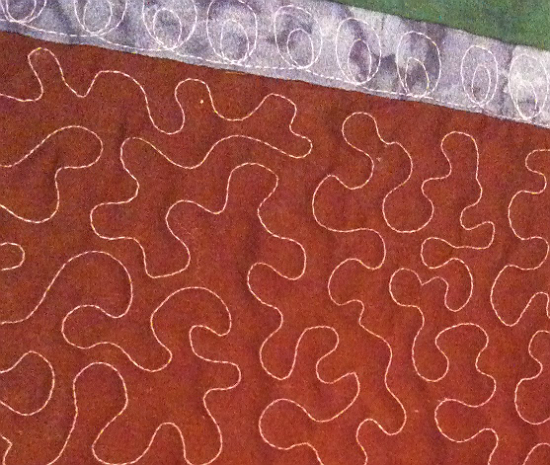 However, meander quilting is larger scale while stipple quilting is smaller and more concentrated. 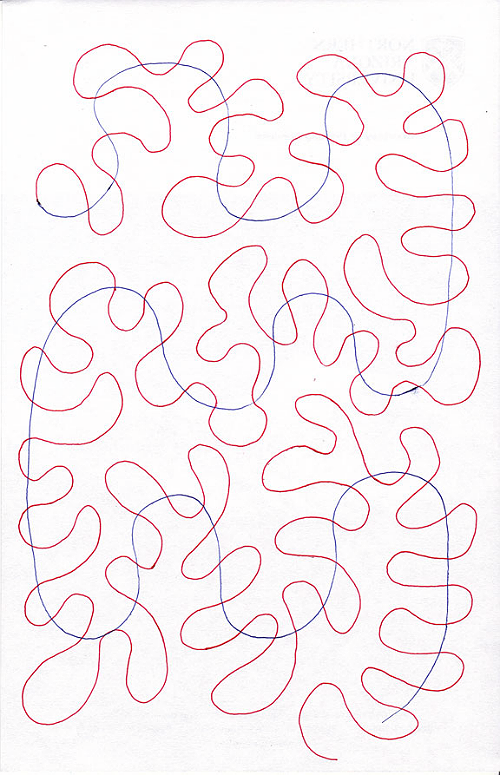 The goal of both is to create a random pattern without the stitching lines touching or crossing. If you’re having problems with one, it’s likely you’ll struggle with the other as well. A great idea by @azwendyg on Quilting Board solves common problems like getting stuck in corners and not producing a random look. She draws a squiggly diagram to guide her and has found that is helps a great deal. Learn more about her method in the following article. Click here for the “Paths to Better Stippling/Meandering” article. In the article she refers to videos by Leah Day. They’re great introductions to stipple quilting. In the following video Leah goes more in depth. Between the two, and with the tips from @azwendyg, you’ll soon be meandering successfully while stipple (or meander) quilting.